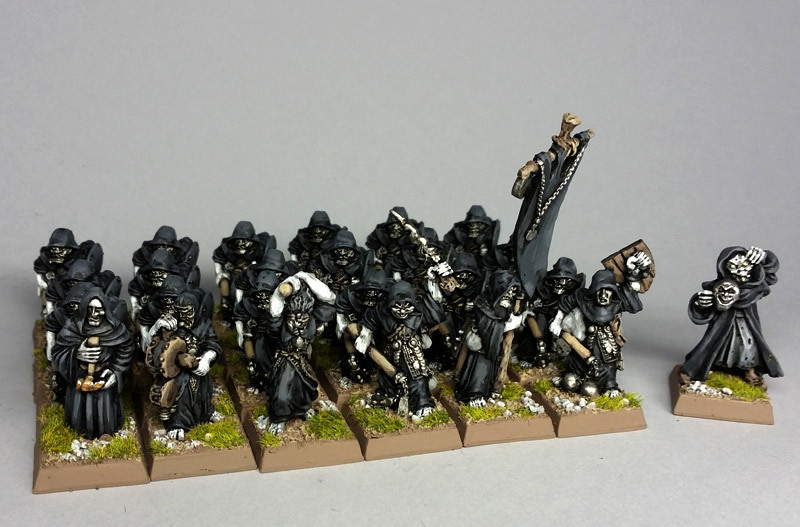 It seems I forgot to post the cultists I finished (for now) a few weeks ago. I love them - they really look creepy in black. I had this regiment as a kid - now long sold on sadly! A really nice unit. The black robes and pale skin really pop.